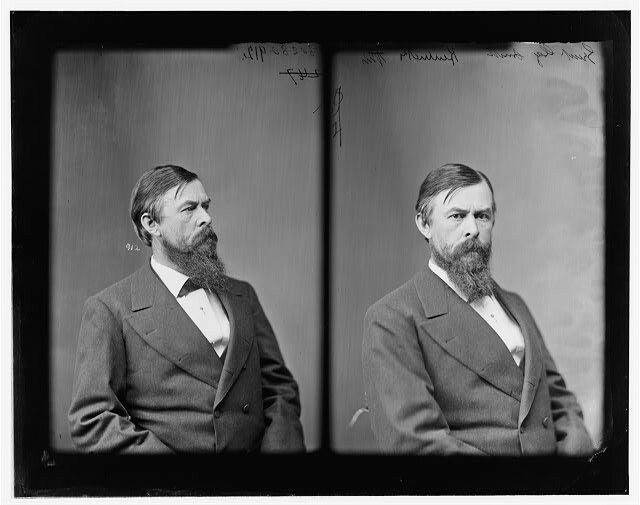 Born on July 4, 1826 at Richmond, Kentucky, the nephew of General Cassius M. Clay. After serving a year in the Army during the Mexican War as a Second Lieutenant of Infantry, he entered Translyvania University from which he graduated at age 18. Three years later he took a law degree from the Lexington Law School and began practice with his father, a prominent Kentucky politican and Member of Congress. He moved to Covington, Kentucky, in 1858 and in1860 was a member of the State Legislature and a staunch supporter of the Union. He is said to have enlisted in the Army as a Private, but in any case he was made Colonel of the 4th Kentucky (Union) Volunteer Cavalry, March 15, 1862 and Brigadier General of Volunteers to rank from June 11. 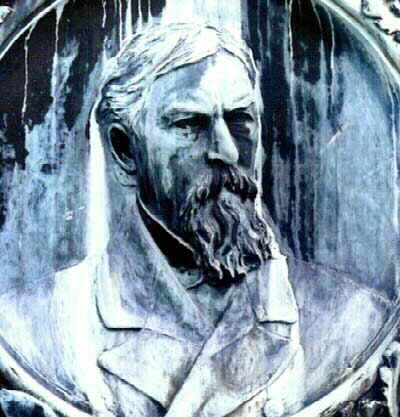 On May 5, 1862, his regiment and two others under the command of General Ebenezer Dumont took part in the rout of the celebrated Confederate John Hunt Morgan t Lebanon, Tennessee. He later was not as successful in resisting the incursions of the dauntless raider, moving his superior, General Jeremiah T. Boyle, at one point to querryt General Don Carlos Buell, "Don't you want General G. Clay Smith." 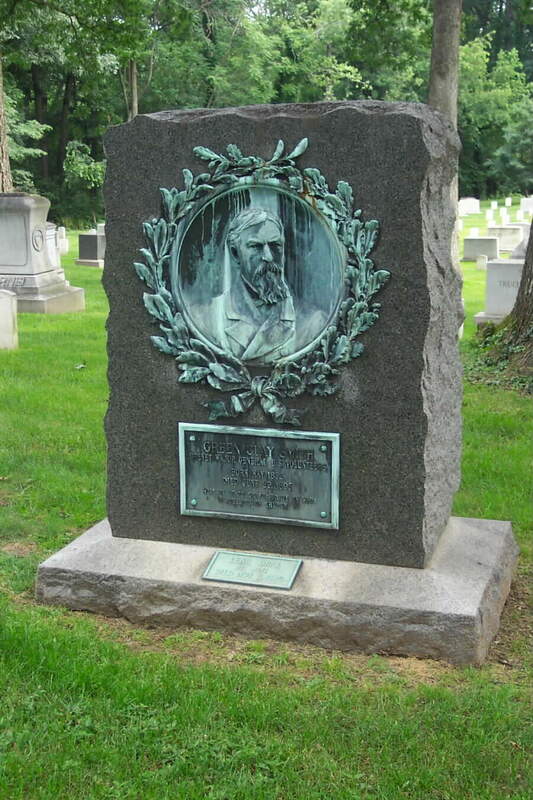 He was elected to Congress in the Fall of 1862 and resigned his Army commission on December 4, 1863. 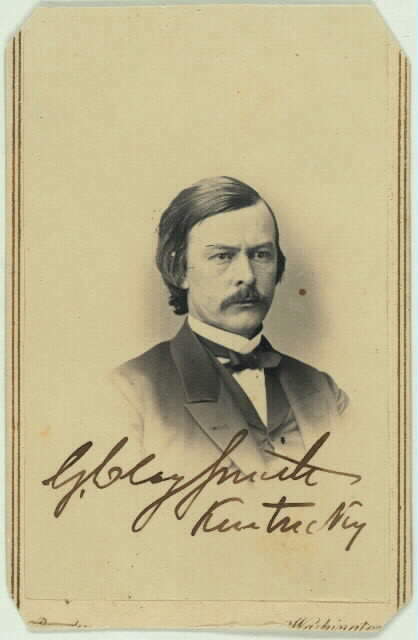 He was in Congress until 1866, when he resigned to accept a post of Territorial Governor of Montana. 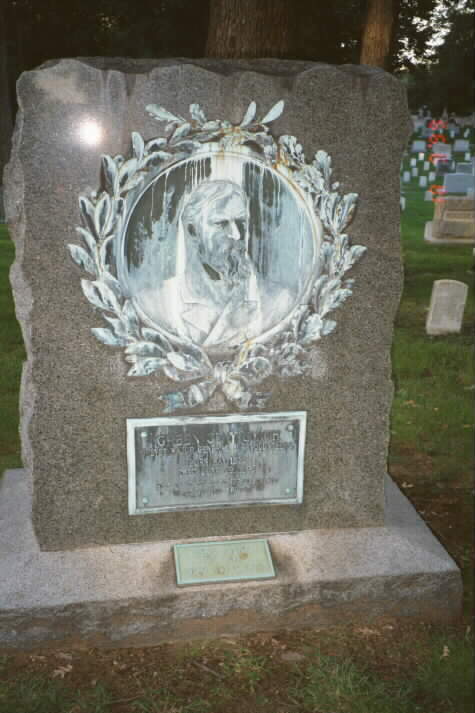 In the meantime, he was breveted Major General of Volunteers for "meritorious service during the war." A few years later he entered the ministry, was ordained in 1869, and the same year became the pastor of the Baptist Church in Frankfort, Kentucky. Was of an evangelical bent and many of his succeeding years of his life were devoted to this cause. 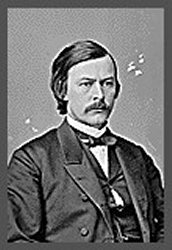 An ardent temperance advocate, he was the candidate of the National Prohibition Party in 1876, getting 9,522 votes in the Presidential election of that year. 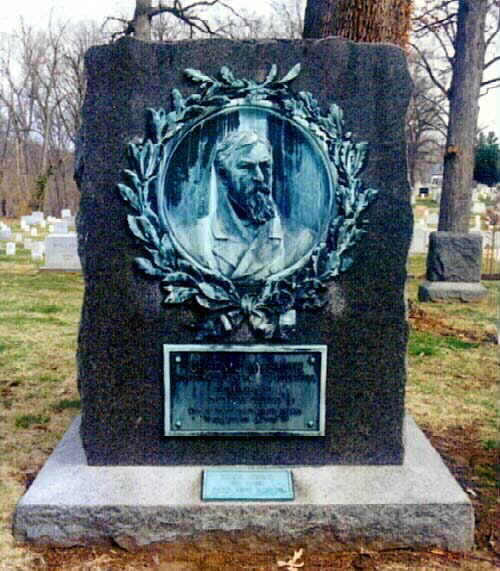 From 1890 until his death on June 29, 1895, he was the Pastor of the Metropolitan Baptist Church of Washington, D.C. 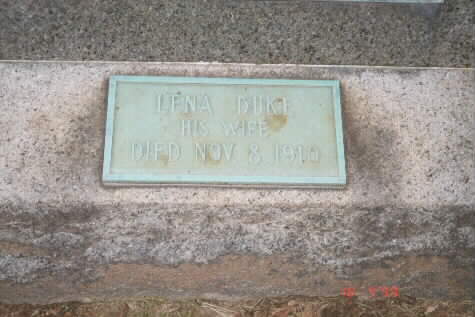 He was buried in Section 1 of Arlington National Cemetery. 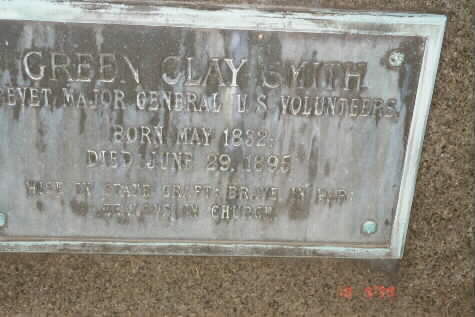 SMITH, Green Clay, (son of John Speed Smith), a Representative from Kentucky; born in Richmond, Madison County, Ky., July 4, 1826; pursued academic studies; served in the Mexican War; commissioned second lieutenant in the First Regiment, Kentucky Volunteer Infantry, June 9, 1846; was graduated from Transylvania University, Lexington, Ky., in 1849; studied law; was admitted to the bar in 1852 and commenced practice in Covington, Ky.; was school commissioner 1853-1857; member of the State house of representatives 1861-1863; commissioned colonel of the Fourth Regiment, Kentucky Volunteer Cavalry, April 4, 1862; brigadier general of Volunteers July 2, 1862; resigned December 1, 1863; brevetted major general of Volunteers March 13, 1865; elected as an Unconditional Unionist to the Thirty-eighth and Thirty-ninth Congresses and served from March 4, 1863, until his resignation in 1866; chairman, Committee on Militia (Thirty-ninth Congress); appointed by President Johnson as Governor of Montana Territory and served from July 13, 1866, until April 9, 1869, when he resigned; moved to Washington, D.C., where he was ordained to the Baptist ministry; was the candidate of the National Prohibition Party in 1876 for President of the United States; pastor of the Metropolitan Baptist Church in Washington, D.C., from 1890 until his death, June 29, 1895; interment in Arlington National Cemetery.